The Master of Fine Arts Exhibition is the culmination of a three-year program in which artists explore their creative practice under the supervision of a faculty guidance committee. 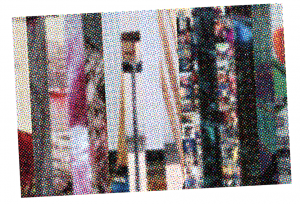 Extensive study in a medium or area of concentration, combined with coursework in the history of art and related fields, helps each artist situate their work within the broad field of contemporary art and design practice. The Department of Art, Art History, and Design celebrates the creative research of Laurén Brady, Chelsea Markuson, Mary Peacock, Mehrdad Sedaghat, and Andrew Somoskey as evidence of their achievement and continuing promise. This year the annual Master of Fine Arts Prize will be awarded to an outstanding candidate by guest juror Dr. Tina Rivers Ryan, Assistant Curator at the Albright-Knox Art Gallery. 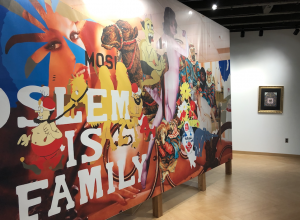 The 2019 Master of Fine Arts Exhibition is organized by the MSU Department of Art, Art History, and Design and the Eli and Edythe Broad Art Museum at Michigan State University, with curatorial oversight by Georgia Erger, Curatorial Assistant. Support for this exhibition is provided by the Graduate School at MSU and the John and Susan Berding Family Endowment. 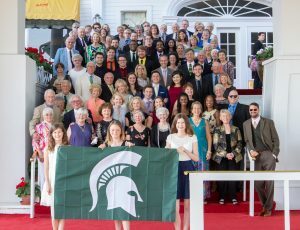 Join us on Mackinac Island for a special weekend at one of the world’s finest hotels where you will enjoy private porch receptions, unique programming, fine gourmet dinners, and good company!